1. Perform the complete Lesser Banishing Ritual of the Pentagram, beginning and ending with the Hammer-Sign. 3. Bring the ray of light to your throat, and form another sphere. This one is violet and contains the rune Perthro in silver. When you have formulated it, vibrate FREYA three times. 4. Bring the ray of light to your heart, and form another sphere. This one is golden and contains the rune Sowulo in black. BALDR is vibrated here three times. 6. Bring the ray of light to your feet, and form a fifth center. This one is black and contains the rune Bierkan in green. The name vibrated here, three times, is IDUN. 7. Return the attention to the center at the top of the head. Bring a current of white light a few inches wide down the left side of the head and neck, the left shoulder and arm, and the left hip and leg, down to the center at the feet, and then back up the right leg and hip, the right arm and shoulder, and the right side of the neck and head, back to the center at the head. Repeat this a total of three times; if possible, synchronize with the breath, so that the energy flows down with the outbreath and up with the inbreath, but it is more important to visualize the whole course than to make it happen within a single breath. 8. In the same way, bring a current of white light from the center above the head, down the midline of the front of the body to the center at the feet, and then back up the midline of the back of the body to the center above the head. Repeat a total of three times. 9. Breathing out, send a ray of white light down the midline of your body from the sphere above your head to the one beneath your feet. (This is done just once.) Then breathe in, and draw a current of energy up the Middle Pillar of the body from that center to the center above the head; breathing out, allow it to spray like a fountain out and over the whole body, cleansing the entire aura, pooling at the feet and being drawn back up the Middle Pillar with the next inbreath. Do these latter two steps—the rising current on an inbreath and the fountain on an outbreath—a total of three times. Tenth, perform the Hammer-Sign (as described in the Lesser Ritual of the Pentagram). This completes the exercise. This is the fundamental practice of Golden Dawn magic and should be done daily if at all possible. It establishes and energizes five centers in the subtle body, cleanses the aura, and opens the way to further magical practices. *Students of mine have found repeatedly that it's important, if you're working a Middle Pillar-type exercise and invoking Pagan gods and goddesses, it's important that the name you vibrate at your genital center should be of a deity of your own physical gender, to avoid odd and unpleasant energy effects. If you happen to be intersexed or transgender, you may need to experiment to figure out which name to use. I think most of my readers know at this point that longtime reader Sven Eriksen and I are hard at work on a system of Golden Dawn magic designed for Heathens, building on the Heathen Lesser Ritual of the Pentagram presented in an earlier post on this journal. 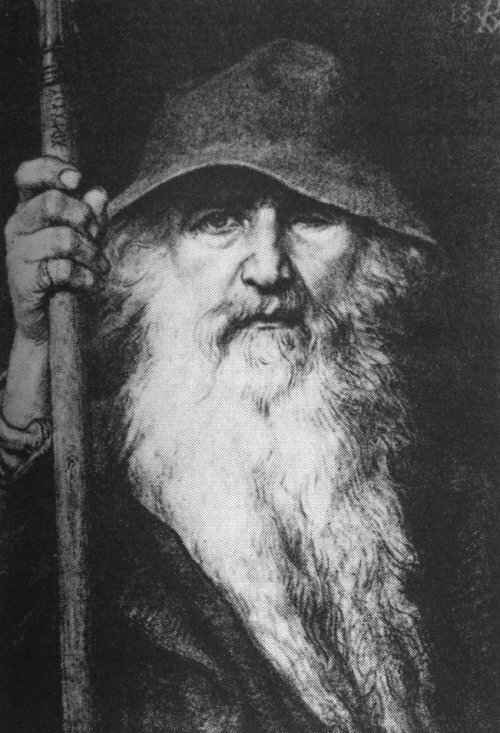 That's well under way at this point; the Heathen equivalent of the Middle Pillar exercise will be posted here next week, and a book on the subject -- working title Gullna Dagrenning: The Heathen Golden Dawn -- is in the works as well. 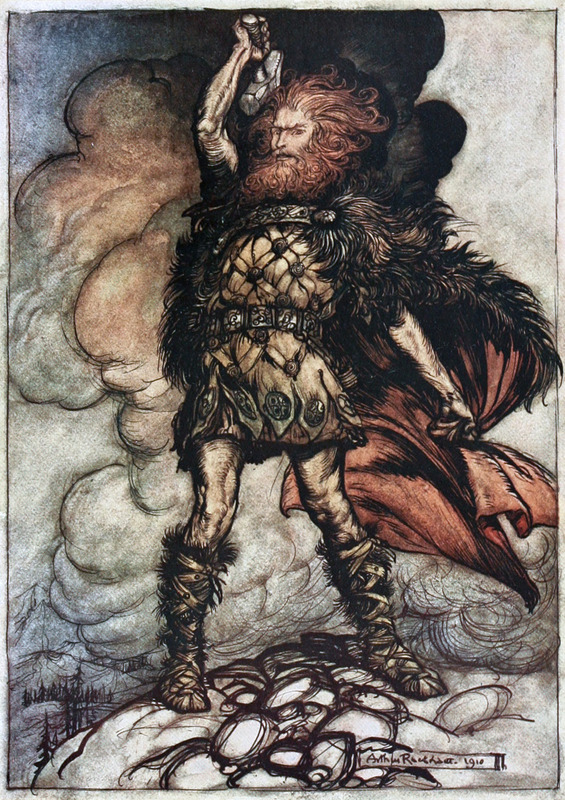 The goal of the project is to give Heathens who want to practice ceremonial magic a tested, powerful system of self-initiation into a version of Golden Dawn magic that calls on the powers of the Aesir and Vanir rather than the Judeo-Christian names of God, and relies entirely on Heathen symbolism. The basics are already solidly in place. Obviously the magical rituals and the meditations will be reworked to invoke Heathen powers and use Heathen symbolism; just as obviously, the runes will be the basic symbolic alphabet and the core divination system. The one question we've got -- and here's something where my Heathen readers can help us out if they're willing -- is what else belongs in the mix. In the Hermetic GD, the "what else" included a lot of astrology and alchemical symbolism, as well as the Tarot. In the Druidical GD -- the system presented in my book The Celtic Golden Dawn -- the "what else" included herbal alchemy, sacred geometry, and medicinal herbalism, since these are all things that have been part of the Druid Revival tradition since its early days. The question in our minds is what the "what else" should be for the Heathen Golden Dawn. There'll be rune lore, more rune lore, and still more rune lore -- oh, and did we mention rune lore? ;-) -- but what else should a Heathen ceremonial magician study in the course of his or her self-initiation? Your suggestions are welcome. Oh, and one other thing. Our best guess as to how to say "Golden Dawn" in Old Icelandic is Gullna Dagrenning. If any of my readers know their way around that language, and can either confirm that for us or correct it, we'd be most grateful.